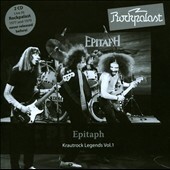 Two CDs of Krautrock madness from Epitaph! Rockpalast shows from 1977 and 1979 round out these two discs packed full of prog and space rock. Never released before!